HUSBANDS AND I BOTH HAVE THE FLU. ONLY DIFFERENCE IS IM CLE - ProudMummy.com the Web's Community for Mums. HUSBANDS AND I BOTH HAVE THE FLU. 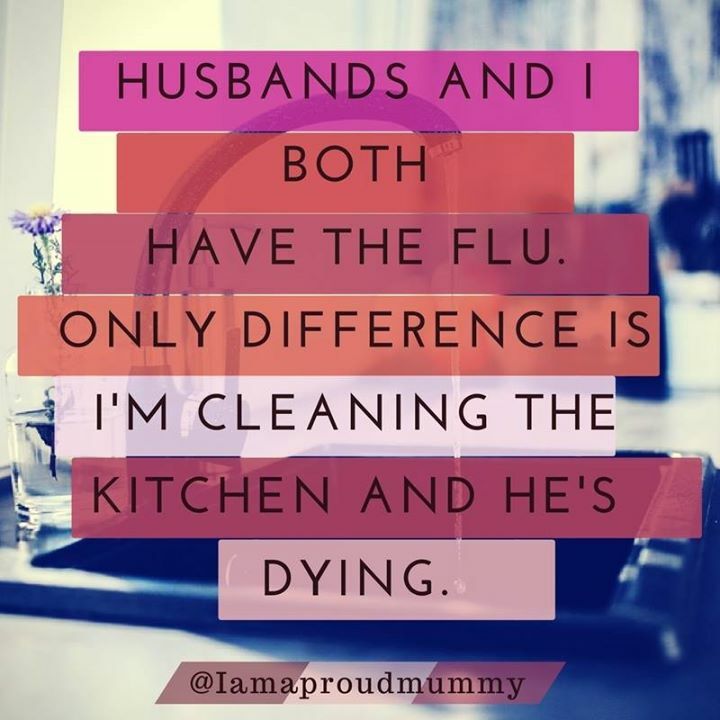 ONLY DIFFERENCE IS I'M CLEANING THE KITCHEN AND HE'S DYING. Ceri Williams why have you deleted you're comment?? How many husbands u got ? Colin Nicholls remind u off anyone!!! You have more than one husband? Dwayne Dunne this is so bloodly true!! Dayne Powell seems about right !